Frostbite is the result of your skin tissue having prolonged exposure to extreme cold – usually temperatures of below zero Celsius (32F). Not only does it freeze the skin but also damages the underlying blood vessels and the colder the temperature and the more exposure to cold wind only increase the danger. Any part of your body can be susceptible to frostbite but the most vulnerable areas are the extremities such as your nose ears, hands, fingers, feet and toes. The symptoms include a gradual numbness and a loss of sensitivity when you touch the affected part of your body. The affected area can also have a tingling sensation or it might feel as though it’s burning but one of the dangers in not spotting it in time is that, as it gets worse, the pain can subside and can eventually disappear by which time it may then be too late to treat the frostbitten area. And, if it’s not treated early enough, infection and gangrene can set in which can ultimately mean the necessity to amputate the affected part in some cases. As soon as you’re aware that you may be suffering from frostbite, you need to get out of the cold as quickly as possible and to reheat the affected area immediately. It’s a painful process but it’s important to do it the right way to avoid further damage. It’s also useful to drink a warm beverage to warm your blood up and to prevent hypothermia. Whilst preparing to thaw out, keep the affected area elevated to reduce swelling. You then need to thaw the affected area out. The best way of doing this is to immerse it in a bath of water which is heated to a constant temperature of around 40 degrees Celsius (105F) over a period of an hour or more. This enables the dilation of blood vessels and helps to start your blood circulating again. This re-warming process is, however, very painful so you should take some pain killers to numb the pain as you go through the process. Once you’ve thawed out the affected part, you should bandage the damaged area and get to a hospital as soon as possible. Two important things to remember, however, are: not to rub the frozen skin in an attempt to thaw it out as the friction will cause further damage to the skin and the underlying tissue and crucially not to thaw the area out if you intend carrying on where there’s a chance of it becoming frozen again as this causes even greater problems. One final point here, if you suspect a person is suffering from hypothermia as well as frostbite, you should treat the hypothermia first. Proper clothing is the first thing you should consider when it comes to preventing frostbite. You should be wearing suitable clothes which provide you with insulation from the cold and protection from wind, rain and snow. It also needs to allow perspiration to evaporate and should have good ventilation properties. Several thinner layers of clothing are far better than one single heavy covering in this regard. Wool, polyester substitutes and water-repellent (not waterproof) material are good materials to use. Two pairs of socks either made of wool or a thinner cotton pair with a woollen pair over the top is recommended and your boots should fit you well and should cover your ankles. Hats, hoods, gloves, mittens, scarves, earmuffs and facemasks are also vital if it’s cold enough to cause frostbite. You should also avoid the use of alcohol and tobacco as these both cause blood vessels to constrict. 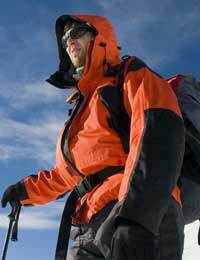 Even the most hardy and world-famous mountain climbers suffer from severe frostbite and this is often partly because of their sheer bloody-mindedness to succeed in their mission. However, losing a finger or toe and sometimes far more is not worth the risk to the average person so you should treat frostbite seriously and not put yourself at risk of it out of choice.